This is a great arts integrated project that our 4th graders did this year. 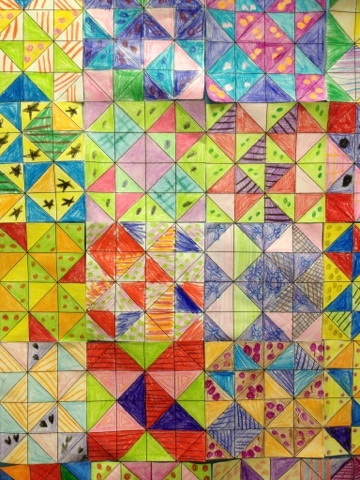 The teachers reproduced the quilt squares and the students used what they had learned about patterns in the art classroom to decorate. This project was used to teach fractions. 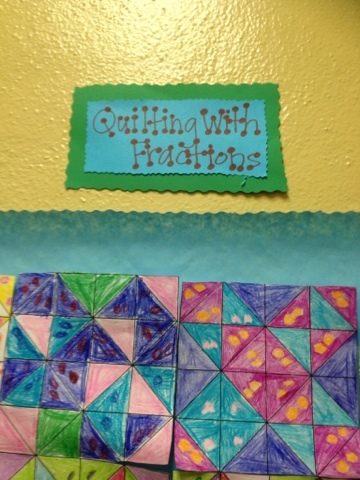 However, measurement could be incorporated if students drew their own quilt squares instead of coloring copied ones. I have a vision for doing this with fabric one day...As soon as that happens I will definitely share! Multiple choice test questions could be designed around the artwork to help students prepare for common assessments, etc. 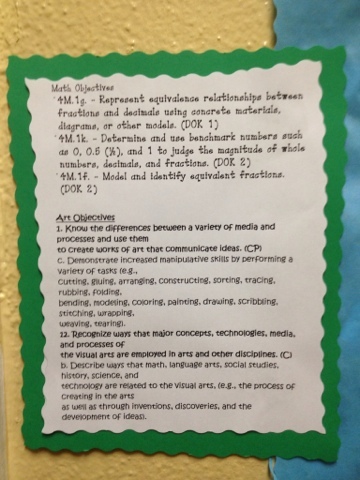 This wonderful fourth grade teacher always displays objectives with her artwork!